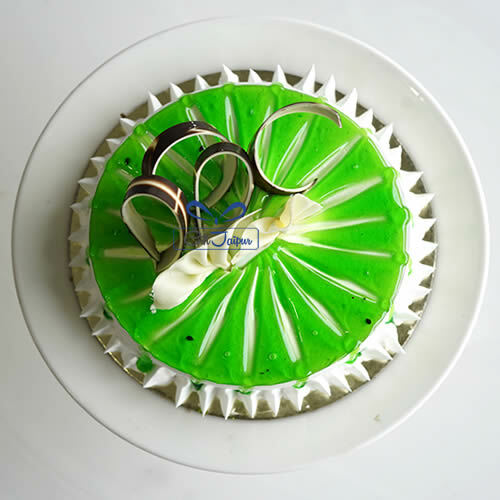 A truly mouthwatering cake which enhances taste of your dear ones. A mouthwatering treat for all health conscious people. Gift the scrumptious surprise for health lovers and mate their diet chart with taste. This super delectable cake is filled with vanilla cream mixed with kiwi flavored cream. 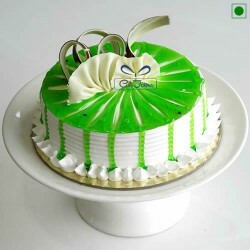 Send this fresh and yummy Pure Eggless Kiwi flavor Cake to your loved ones and it can be delivered across Jaipur and major cities of Rajasthan same day. •	You can celebrate your birthdays, anniversaries and even family get-togethers with this oh-so-beautiful looking cake which will attract everyone’s attention at the first glance. Moreover, its taste will surely leave guests craving for more.